Web Development in Toronto, Guelph, Kitchener, and London is our passion. We are also amazing web designers. What makes Visual Thinkers different? Our deep passion and understanding of technology and design. We focus on the details and have wide-ranging industry experience including the automotive, telecommunications, restaurant, banking, consulting, scientific and agency business. We build sites efficiently and with the most up-to-date technology. 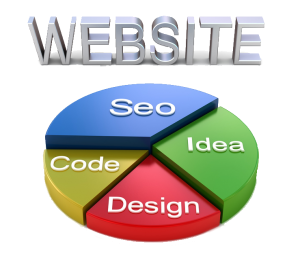 Our websites are beautiful, useful and get results. We are experts in the latest developments including inbound marketing, responsive web design, and our websites will have great appeal on any platform. A website is an excellent tool to showcase who you are, what you do, to drive sales and provide customer service to your clients. We integrate Pictorial and Spatial Design into a strong vibrant whole with exquisite images and poetic code. We live, breathe, sleep and eat web development and design. At Visual Thinkers, we are on top of the latest trends, constantly updating our skills. We can help you with your existing site or we can build a new one for you. We cover all the angles from your Photography to your Videography within our Creative Agency. Our websites provide significant ROI for our clients, and we would be happy to serve you and get the results you deserve for your website.